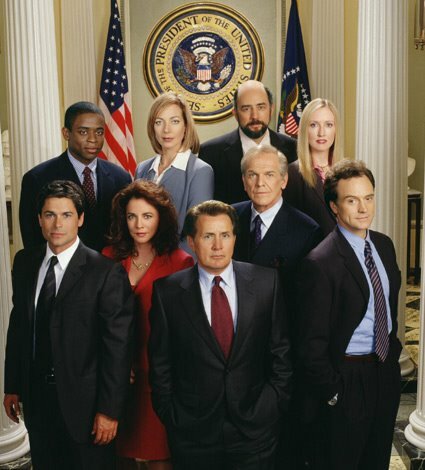 Steve and I are in the midst of a two-week West Wing marathon. I love the writing – plot, pacing, brilliant banter. It helps me think about the mixed reality of human life: how sometimes we win, but just as often we lose, either because we blow it or someone pulls some last minute stunt that changes things, or because our plan didn’t factor in some key element that turned out to be central. It’s kind of a crap shoot out here. The show does a good job portraying how sometimes other people are wonderful and good and surprise us (I want Ainsely Hayes to move to Cambridge and be my friend), but sometimes brilliance is best experienced from a distance (I don’t think I’d like Toby Zeigler, but I’d love to be in the room to watch him he craft a speech with his team.) People can be weirdly passionate about things we don’t understand (we just saw the episode where the “Carteogrophers for Social Equality” wanted to flip over maps to give countries in the southern hemisphere the experience of being on top), and sometimes they’re conniving and ruthless and mean (we’re at the point in Season 2 where the VP is about to make a power move on the Oval Office). In all of this, I can’t decide if the show makes me long to be back in an office atmosphere – with shared goals, banter, and the tug-of-war that makes up each new day, or if it makes me want to hunker down with my dog because all of this unpredictability and humans colliding so exhausting. This question in extra-sharp tension this morning because I read an article in the New York Times – The Opt Out Generation Wants Back In – about how (as one of my Twitter friends put it) women are damed if we do (work) and damned if we don’t. As I said on FB, my head is spinning. I didn’t opt out of professional, go-to-an-office/receive a regular paycheck work for children. I opted out to publish books. And like children, my two memoirs were needy and demanding during the first few years, but after awhile they went out into the world to succeed or fail largely on their own, and all that was left was for me to decide: do I want to go back to “real” work (read: reliable, ordered, where there’s a schedule set by someone other than me), or try to produce another? I have pages written of course. Scores of them. But publishing is in such chaos right now that almost any job looks like a oasis of security, a chance to superimpose some longed-for predictability over my days. But I wonder if this vision of greener grass is real? I’m thinking about this today. And fending off the lie that office life (or any life) can be carefully scripted, or always filled with smart, funny people like CJ, Josh and Sam, every day spent tossing about witty banter in an atmosphere where it really is possible to save the world. As I look bad over my resume, I don’t recall any job being quite like that. Have you noticed how in bullish seasons when the economy is on the upswing, news stories focus on how people are longing for more freedom, flexibility, room to explore? But in lean, bearish times the focus shifts to how wonderful it is to have two incomes, money in the bank, the promise of stability? The truth is, we want both. But I don’t think either can deliver everything we’re looking for. Anyway…There are no easy answers. We muddle through. Prayer helps. As I read the Bible each morning I’m surprised again and again by what a kerfluffle life has always been, and how knowing God doesn’t work at all the way we think it will and so few of our definitions of things like “good” or “secure” or “happy” sync up with His. As I said to a friend the other night, “God and life are…interesting.” We just don’t know how anything will turn out. 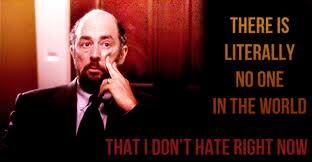 The West Wing is helping me accept this, and take it one day at a time. This entry was posted in Perspective, Transition, Work, Writing and tagged faith, publishing, West Wing, work, work-life balance, writing on August 8, 2013 by Trish Ryan. Love this – especially am still chuckling over “What is my bra size? Jesus.” I agree, it’s good to have Jesus around, but he’s probably not the answer to EVERY question.